Asia, the legendary British rock band, is experiencing some of the best critical and fan acclaim of their career since its heyday of the early 1980s thanks to their new album Gravitas. The consensus is the same: this is unquestionably one of the finest albums in the band’s 30+ year career. The new CD released March 25th in North America on Frontiers Records has been embraced by international media outlets such as Reuters, Yahoo News, Huffington Post, and USA Today. The album had a Top 20 debut on the Mediabase Classic Rock Chartand has since climbed into the Top 10, sitting at #7. It marks one of the strongest radio responses to an Asia album since the first two albums were released in the early 1980s. In addition to extensive media coverage, the band is preparing to chat with its fans in a specialReddit Event, being planned for the third week in April. Gravitas reached #11 on the iTunes US Top Rock Albums upon release on March 25th. The CD/DVD version is at #35 on the Amazon US overall music chart, #18 on the Rock chart and #35 on the Pop chart. It was consistently in the Top 100 for the last few weeks while available for pre-order. At Amazon Canada, it is in the Top 100. Internationally it comes in at #12 on Amazon France’s MP3 Rock Albums chart and is the #1 Hard Rock & Metal release on Amazon Italy. In addition it is #1 in Amazon UK’s MP3 Progressive Albums chart and #17 on Amazon Germany’s MP3 Rock Albums chart. It entered Japan’s charts at #27. And the momentum is just starting to build. Featuring a deeply introspective musical style within a clearly accessible sound, Gravitas introduces the world to Asia’s new guitarist, Sam Coulson, who came at the recommendation of Mr. Big’s Paul Gilbert. In addition to the North American release this week, the record was released in Japan on March 5th, and Europe on March 21st. It is available in two configurations: a standard CD and a Deluxe Edition, that includes two bonus tracks and a DVD containing the “Valkyrie” music video, a promotional film, and footage of classic live ASIA tracks recorded with the Plovdiv Philharmonic Orchestra in Bulgaria. Asia’s debut album exploded onto the music scene in April,1982, and was the best selling album in the world of that year. Featuring Geoff Downes on keyboards; Steve Howe on guitar; Carl Palmer on drums; and John Wetton on lead vocal and bass; Asia was the logical successor to their collective bands of the 70s – Yes, ELP, King Crimson, UK, and The Buggles. The original ASIA reformed in 2006 for the first time in 23 years. Track listing: Valkyrie; Gravitas; The Closer I Get To You; Nyctophobia; Russian Dolls; Heaven Help Me Now; I Would Die For You: Joe Di Maggio’s Glove; Till We Meet Again. The Closer I Get To You (Acoustic)*; Joe Di Maggio’s Glove (Acoustic)* DVD (*): Valkyrie (videoclip), “EPK”, “Heat of the Moment” (Live in Plovdiv with Plovdiv Philharmonic Orchestra); TBA (Live in Plovdiv with Plovdiv Philharmonic Orchestra); TBA (Live in Plovdiv with Plovdiv Philharmonic Orchestra). Order Asia Gravitas at: Regular Edition: smarturl.it/GravitasRegAmazon / Deluxe Edition: smarturl.it/GravitasDlxAmazon / For all things Asia, please visit: www.originalasia.com. On March 18th, 2014; Dennis DeYoung, the legendary front man of Styx and author of five key songs that define that band’s career, returned to Los Angeles for the first time during his solo career to a sold out show at the El Rey Theater. Recorded live for AXS-TV and captured in pristine HD quality, the performance has been slated for release later in 2014 on a DVD and CD to feature Dennis DeYoung ‘Performing the Music of Styx’ via Frontiers Records. Los Angeles FM radio giant 100.3 The Sound aided in show promotion with morning show host Uncle Joe Benson offering tickets to listeners in limited supply, just 20 seats available to winning entrants. In just a few short hours of the show’s announcement, tickets sold out at an astounding fan appreciation price of just five dollars. With gratitude to fans that have supported DeYoung over the years, the show was truly a gift of thanks to long-time fans that haven’t seen him perform outside of Styx in Los Angeles, ever. With doors opening at 8:00 pm, fans lined the sidewalk starting in the 6 o’clock hour on Wilshire Boulevard with tickets in hand and the buzz was about what songs the band might perform. Photos and reviews of the previous show in Joliet, IL had revealed guitarist August Zadra taking the vocal lead on select songs and fans shared the amazing sound of the band being so close to the record it was guaranteed hit all the right chords with lifelong fans! Still, what patrons would get tonight was an absolute surprise. The amazing stage set was designed by DeYoung’s son and through the black backdrop shone multiple gemlike circles that glowed from one side of the stage to the other like a blanket of stars with the colors of the rainbow. Neon-like spots aimed both high and low rained down an array of light that swept over the audience. Packed from the front of the stage to the back of the house, the inside of the El Rey seemed more like a night at the Forum in 1985; just bigger than life and ready for broadcast. The set list for the night was as follows: 1. Grand Illusion 2. Lady 3. Lorelei 4. Blue Collar Man 5. Show Me The Way 6. Mr. Roboto 7. Crystal Ball 8. Don’t Let It End 9. Too Much Time On My hands 10. Rockin’ The Paradise 11. Desert Moon 12. Babe 13. Fooling Yourself 14. Prelude 12 15. Suite Madame Blue 16. Best Of Times 17. Renegade 18. Come Sail Away. David Saylor (Push UK, Wild Rose) is back! And he’s brought with him his best and most accomplished album yet! Following on from last year’s Kiss of Judas EP (now sold out) Saylor returns with “Strength of One”, a collection of eleven AOR/melodic rock gems which again showcases his awesome voice, production skills and song writing talent. The step up in quality from his last offering is obvious from the opening guitar riffs of “Welcome to the Show” – Saylor means business as he welcomes listeners into his AOR paradise! In terms of song writing Saylor has again upped the ante! Compelling lyrics, catchy melodies and choruses that listeners will be humming throughout 2014! This album is packed with this! One noticeable aspect is the use of guitars. Beautiful, tasteful solos wrap around almost every song. One play and listeners will be transported back to 1986/87. Guitars come courtesy of six string wizards Brett Hammond, David Mark Pearce and in particular Nik Lloyd. Where have these guys been all our lives? The solos, riffing and general sonic textures sit perfectly on every song be they up tempo or ballads, hard and heavy or soft and light! These guys are up to the task and whatever the requirement lay it down perfectly. And then there is Saylor’s voice. Bringing a Terry Brock style rasp to all tracks on offer it sores up there with the angels. It just keeps getting better. Filled with emotion it conveys the pain and the sadness of lost love on some tracks whilst on others celebrates the joy of living life to the max. Yes – I can tell when this man is in pain or smiling purely through his voice! A genius! Accompanying Saylor in the studio aside from Brett, Nik and David are Romany May, Cristian Antonio, Suzi Ashby, Rob Hewins and Georgia Florence of backing vocals, Paul Pryor on bass and from The Val: Gabrielle De Val Koenzen (guest vocals) and Alfonso Samos (guitar). Strength of One (AOR Boulevard Records) will be released in May 2014 with a strictly limited pressing of 1000 copies. Like its immediate predecessor is it sure to sell out and become a collector’s piece. NB – a strictly limited number of copies of David Saylor – City of Angels and Push UK – Strange World are available from AOR Boulevard Records. CD Promo Clip – Listen Here: www.youtube.com/watch?v =mJYVa_lAklQ&feature=youtu.be. Listed on the website CharityBuzz, 4 tickets to attend the Rock and Roll Hall of Fame Induction Ceremony with 100% of the proceeds going to charity (FeedingAmerica $1= 9 meals). The auction also has a gift bag that includes music and video from Rock Hall Inductees and other special items like a Signed Copy of John Oates brand new compilation CD “Good Road To Follow” personally signed by the artist and inductee: www.charitybuzz.com/catalog_items/516400. Aussie pop/rock 80s icons Pseudo Echo have completed work on their first album in 20 years titled Ultraviolet. It’s due out to Pledge donators this week and TBA for the general public. Hi everyone. Bobby Messano here and I’m at the beginning of my year long “My Life In Bags Tour 2014” and I’m starting a new PledgeMusic campaign at www.pledgemusic.com/projects/bobbymessano. I’m looking for some help with tour support and I’ve included some fantastic exclusives, many never seen before. I hope you can jump into one of the bags and come along on this exciting journey. Thanks and I’ll see you at the shows! www.focusonmetal.net have a new two hour episode where they talk to Kings X guitarist Ty Tabor and discuss the band’s discography in chronological order with him. Exclusive Interviews With Anette Olzon, Magnum, John Coughlan (Status Quo) And W.E.T. In the first hour, John Coughlan of the legendary “Frantic Four” line up of Status Quo, talks about the band’s current tour, and the new deluxe edition reissue of their seminal “Piledriver” album, with classic songs and rare live tracks from the new package. Also in part 1, former Nightwish vocalist Anette Olzon discusses the writing and recording of her debut solo release “Shine”, and chooses two songs from the album. In part two, Bob Catley of enduring British Hard Rockers Magnum talks about their chart-busting new album “Escape From The Shadow Garden”, and related touring plans and festival appearances, with four songs from the new album. And finally, Erik Martensson (Eclipse), guitarist with Melodic Rock supergroup W.E.T. (also featuring vocalist Jeff Scott Soto (ex Journey, Talisman, Yngwie Malmsteen) talks about the band’s new 2CD/DVD live package “One Live-In Stockholm” and chooses two cuts from the album, including one of the 2 unreleased studio songs included. 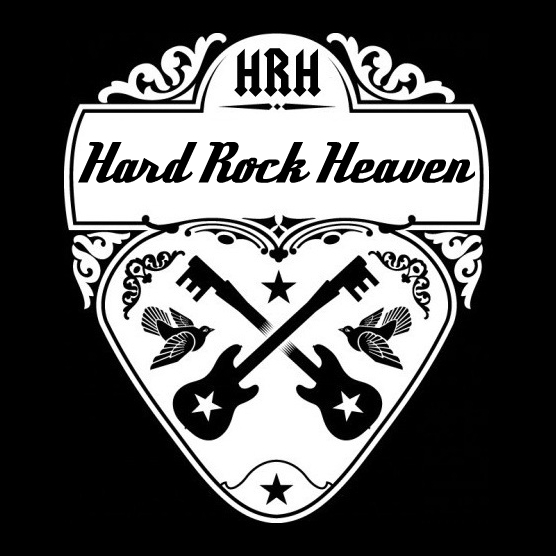 You can also listen on Sunday 30th March 15:00-17:00 GMT and Wednesday 2nd April 22:00-00.00 GMT on www.totalrock.com. 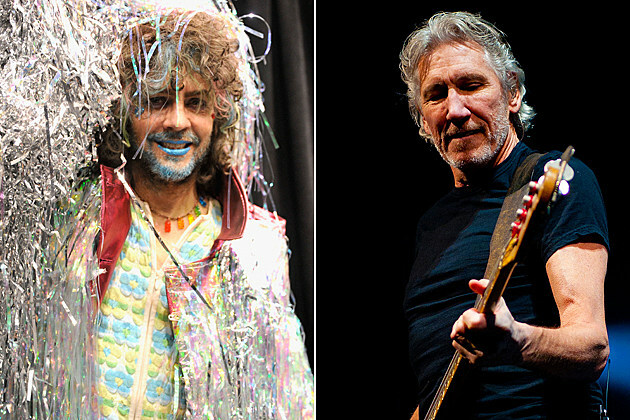 Tomorrow, the Flaming Lips will reportedly put out ‘Flaming Side of the Moon,’ a digital-only release that they are describing as “an immersive companion piece” to Pink Floyd‘s ‘The Dark Side of the Moon.’ However, we’re not sure if the group are serious or if this is an early April Fool’s Day prank. For starters, the press release we received today (but dated March 31) does not offer any further details about the album. There’s no tracklisting, list of personnel, or quotes from band members, for example. Plus the artwork doesn’t match up with the bold colorful styles and fonts the group has used on their dozens of singles and album releases in recent years. Designed as an immersive companion piece to the original 1973 album, ‘Dark Side of the Moon,’ listeners are encouraged to listen to the new Lips album while listening to ‘Dark Side of the Moon’ at the same time. ‘Flaming Side of the Moon,’ was also carefully crafted to sync up perfectly with the 1939 film, ‘The Wizard of Oz.’ For ideal listening conditions, fans are encouraged to seek out the original Alan Parsons’ engineered quadraphonic LP mix of ‘Dark Side,’ but it will work with the album on any format. Available now through all participating digital outlets. And yet, a check at the major digital music outlets reveal no such product. However, if this is real, the press release also states that 100 vinyl copies of the album will be given to the band’s friends and family. Again, our experience suggests that this isn’t something normally put into press releases, and could be in there only to tease gullible hipsters. Don’t get us wrong — this sounds like fun, some of us hope this is real. Guess we’ll find out soon!